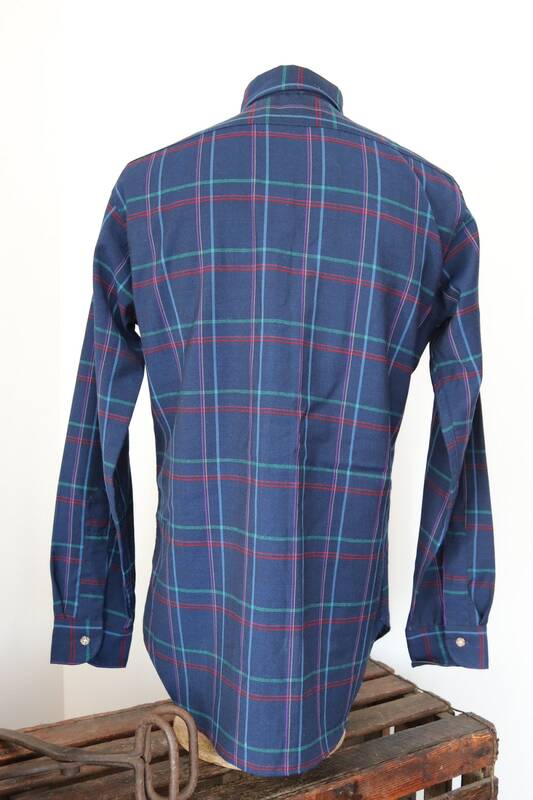 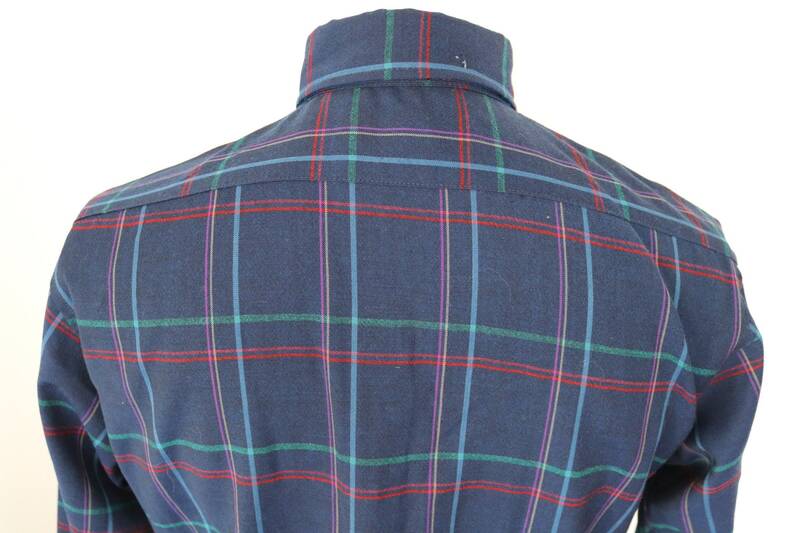 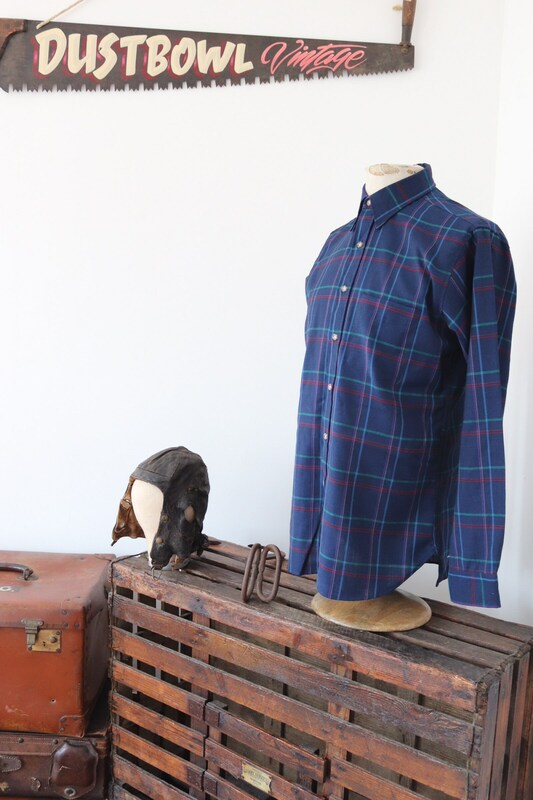 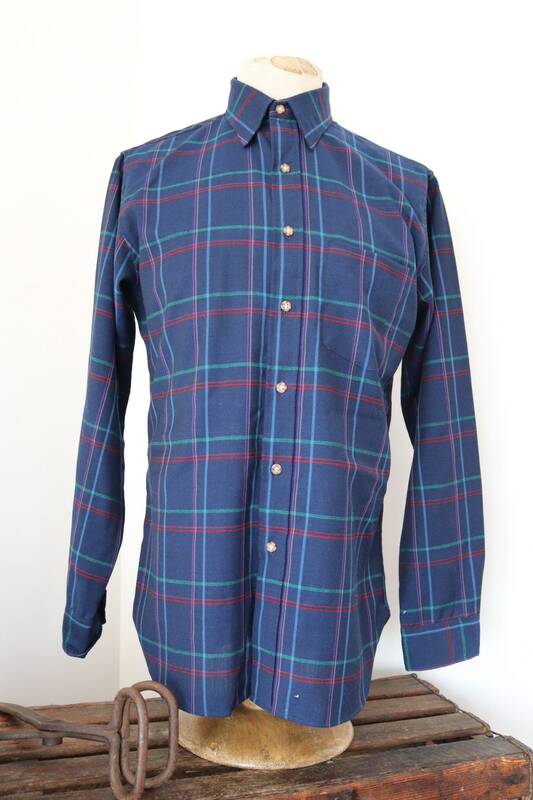 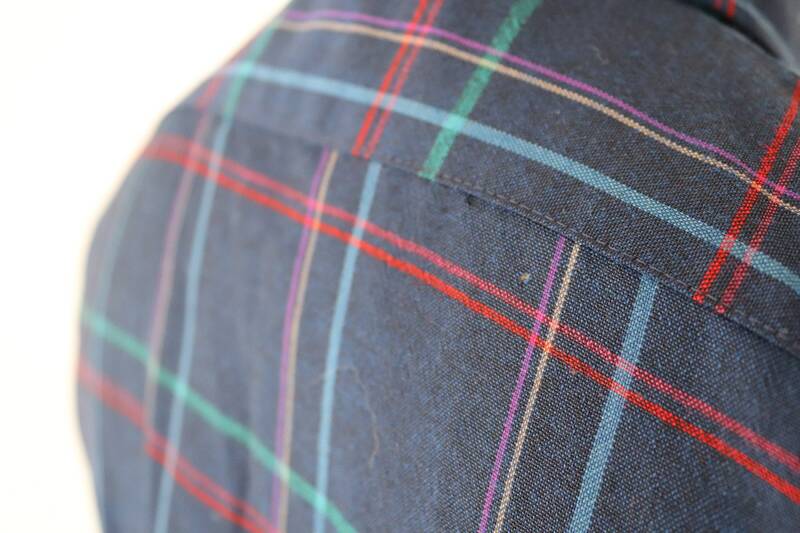 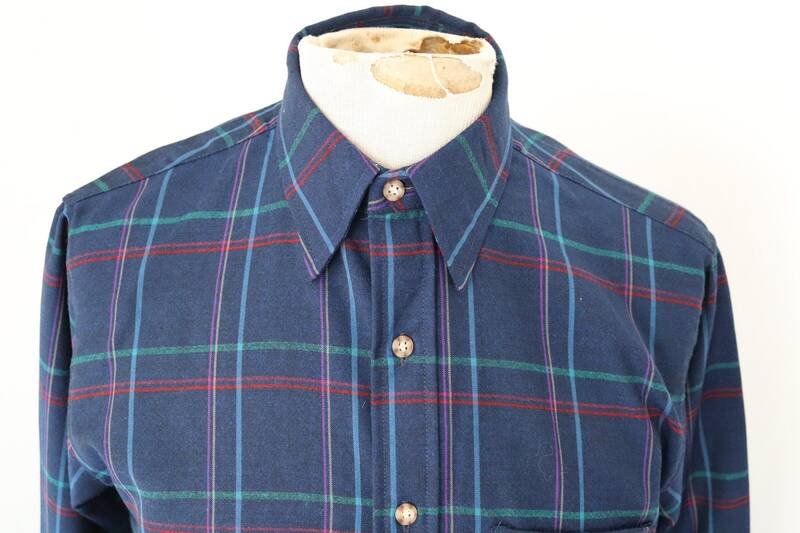 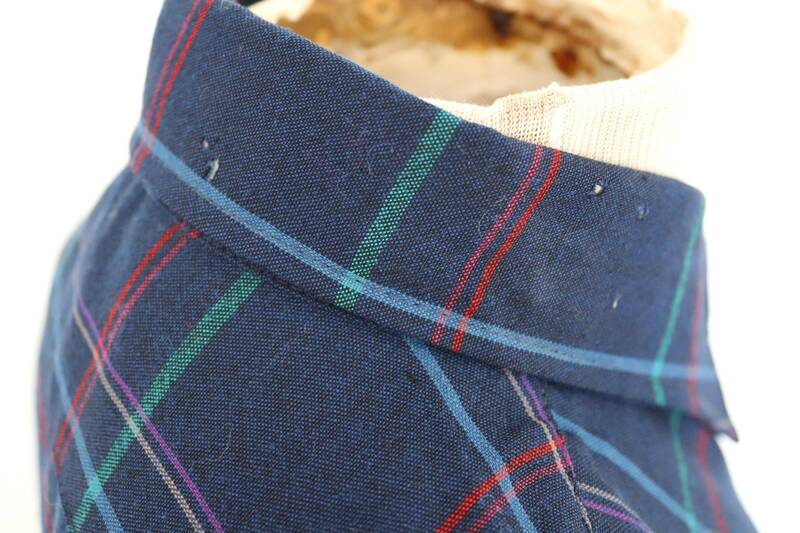 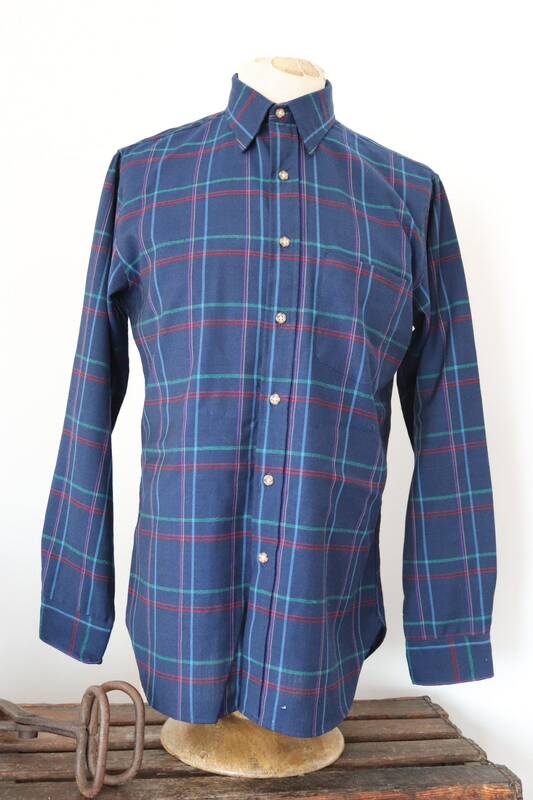 A thinner blue and green wool plaid Pendleton shirt. 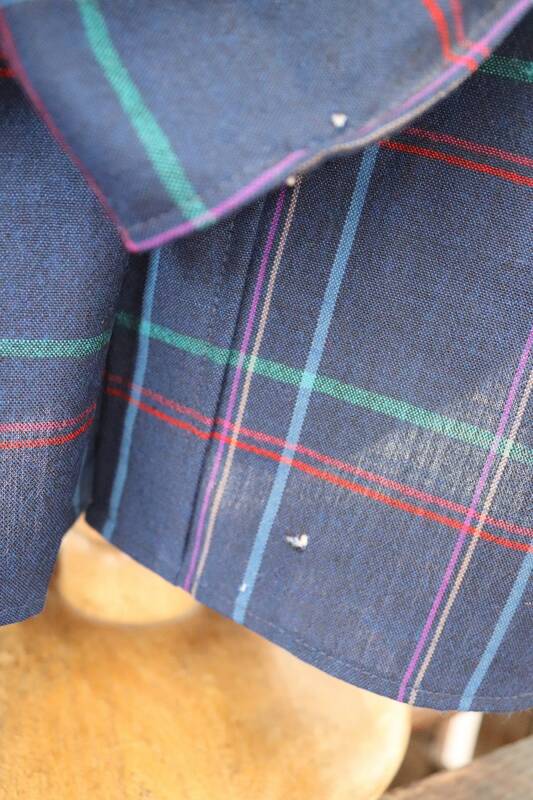 Noted flaws - several small holes - please see photos. 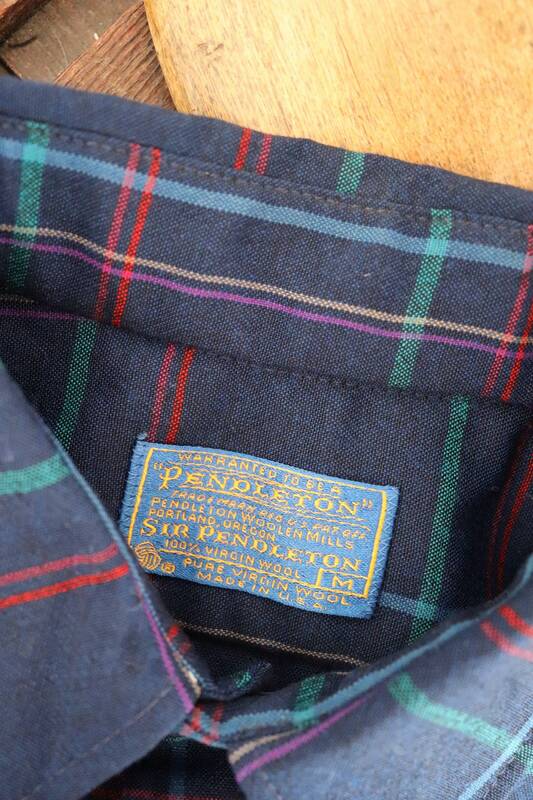 Great condition otherwise, 100% wool, made in USA, two chest pockets, classic Pendleton shirt.